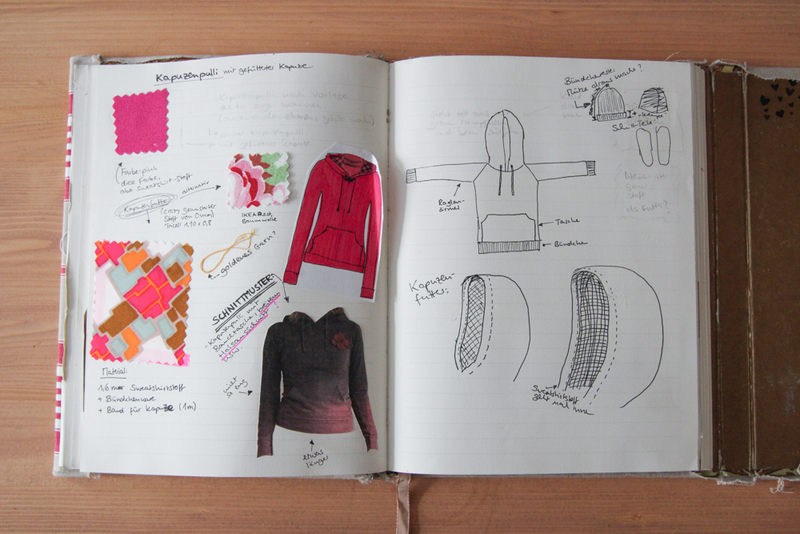 Last year, during Me-Made-May, I had this idea to write about some clothes that I’ve sewn pre-blog. Although I’ve never sewn more than 2015, it wasn’t until May that I realized how many things I had already made before. With a few years of sewing experience under my belt, I feel like my skill set is pretty solid now. 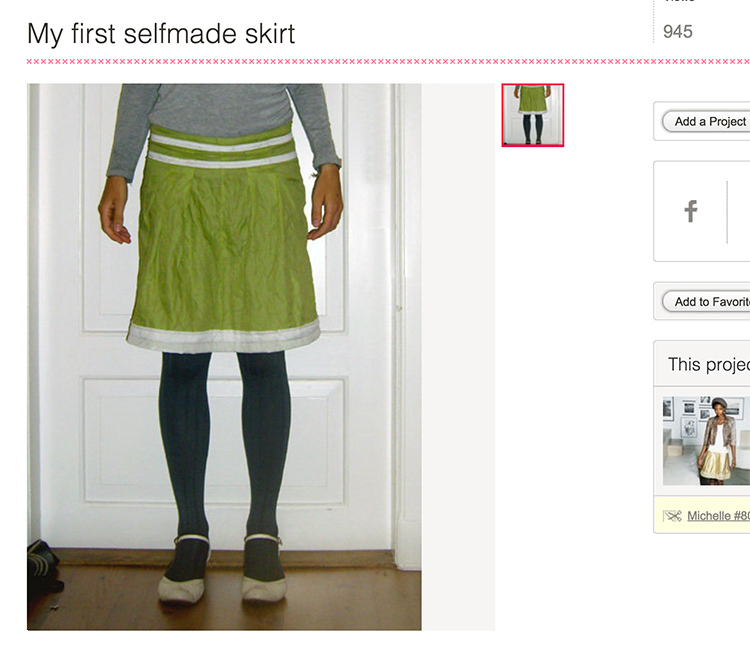 But it’s my earlier makes that really tell the story of how I learned to sew. 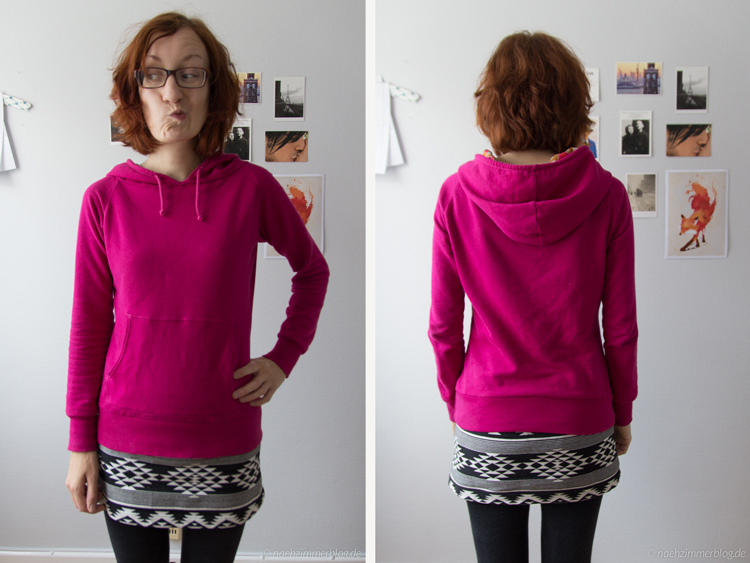 After showing you the first and worst skirt I ever sewed, let me introduce you to something I’m much more proud of: My beloved pink hoodie. 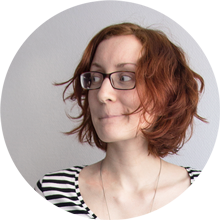 Three years ago, I had just moved to another city for my design studies. The university was pretty chaotic and course selection followed a strange priority system as a result of which most of us freshmen didn’t have a very full schedule. I spent my time focusing on the few classes I had, decorating my room and getting familiar with the sewing machine I had scored on ebay classifieds before my move. It was a time when sewing became a bigger part of my life. I had built up quite a fabric stash and was determined to finally use some of it. One of the pieces in my stash was this crazy patterned polyester that I inherited from my grandmother. I loved the pattern and the craziness, but wasn’t sure if I would wear an entire blouse in this fabric. Plus, I absolutely hate to wear anything polyester. One day it dawned on me, that I could make a hot pink hoodie and just add this fabric as a lining. Done and done. 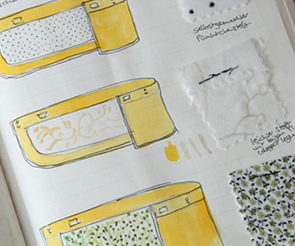 The idea immediately went into my new sewing sketchbook. Having all this time outside of university, I signed up for a sewing class on a whim. It was in the morning and sadly all the other participants were mums sewing baby blankets and pillows. The teacher was great, though. 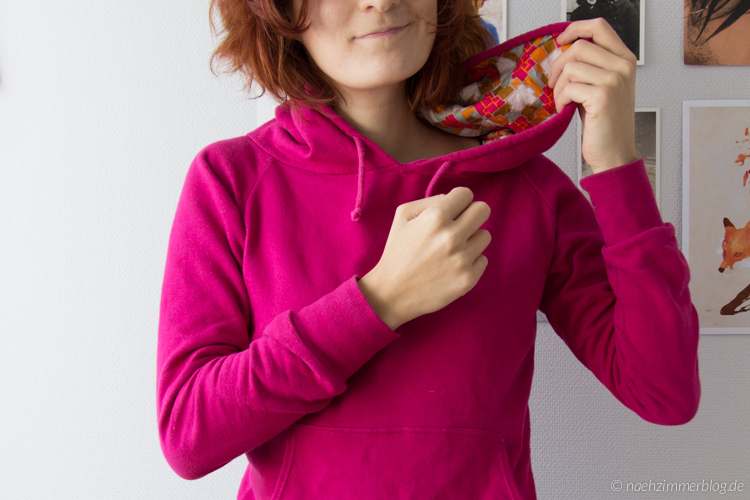 Not only did she show me how to sew sweater knits on a regular sewing machine, she also taught me how to make my own sewing pattern by copying an old hoodie and altering it to fit my body. 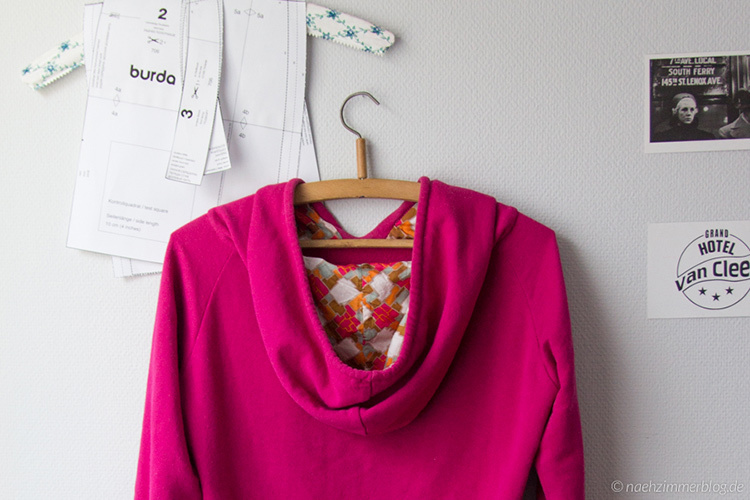 Once you get the hang of it, it is actually pretty simple, especially when working with knits. 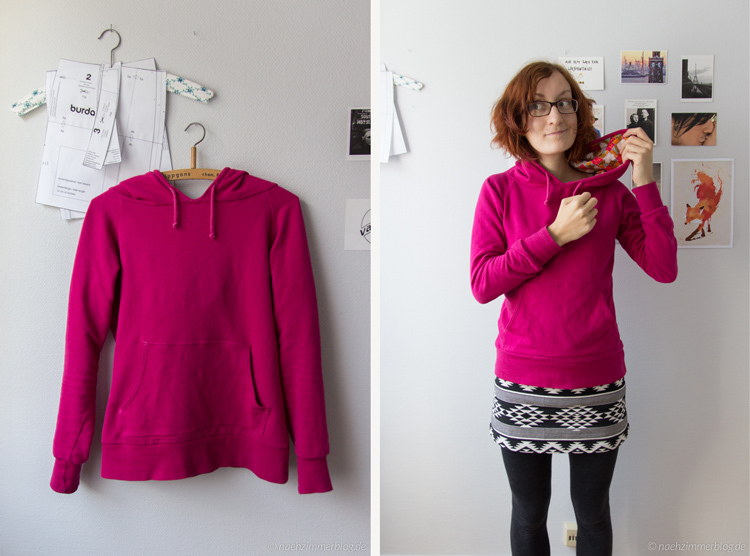 I used the same method to copy another sweater and a cardigan later on. 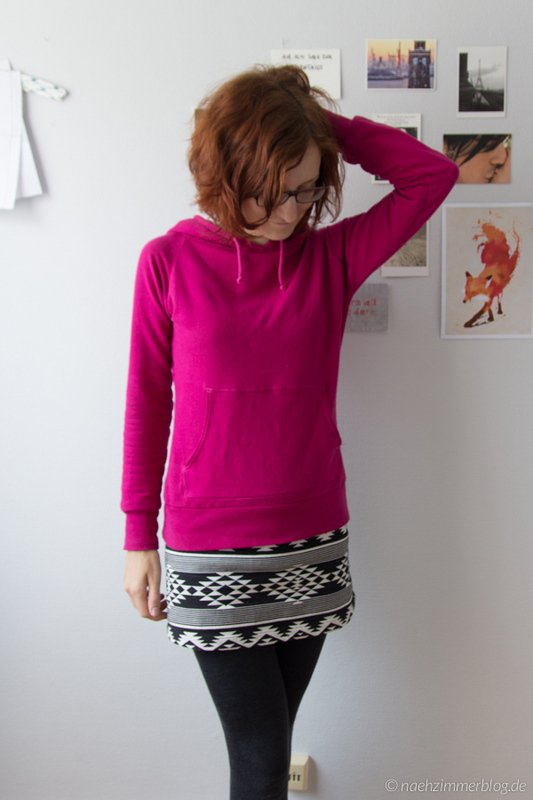 I still remember being very nervous about the hoodie turning out okay. Most projects I had sewn before had some bigger flaws and looked rather “homemade”. But with the pattern being tailored to my body and knits being so wonderfully forgiving, it looked beautiful and really “professional” when I finally took it out from under the sewing machine. I was so. proud. 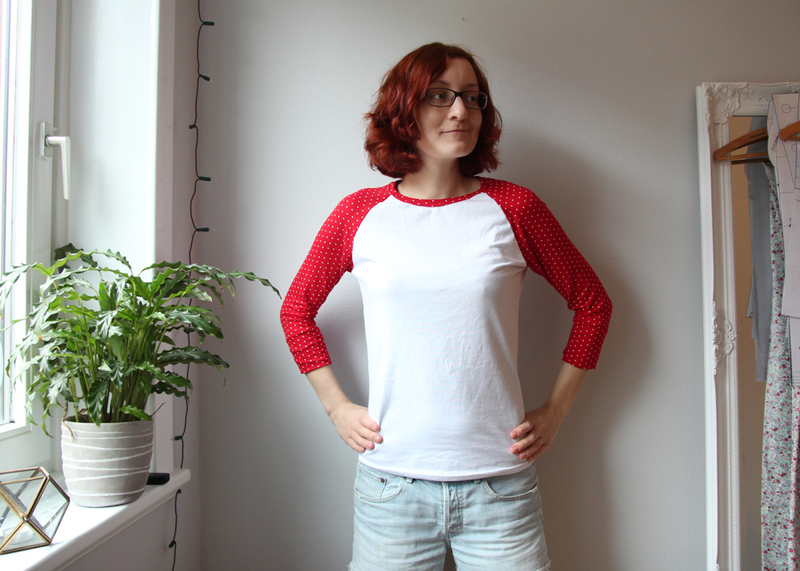 It was the first garment I made that fit spot on, looked great and was entirely my style. The hoodie is three years old now and I still wear it on a regular basis.